The SOLARDOME® Pod is our smallest dome and makes an ideal luxury greenhouse, perfect to support and extend the growing season in your garden. It is ideal for limited outdoor spaces, such as courtyards, on decking or a simple patio and is easily self-assembled. Its compact, simple design means it doesn’t need foundations and generally no planning permission is required. 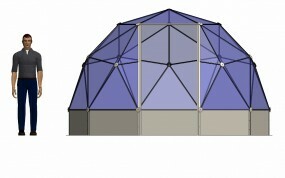 The SOLARDOME® Pod provides an excellent environment for growing and it can fit up to seven staging units around its circumference, so why not experiment with hydroponics or other growing techniques? It also makes a wonderful outdoor room to relax in after an afternoon’s gardening as seen on Love Your Garden: “With this garden we really wanted to give it a modern feel, and you couldn’t get more modern than this award-winning geodesic dome”. Self-assembled their SOLARDOME® Pod on a Norwegian island. Has made more use of a roof terrace by installing a SOLARDOME® Pod. See more photos and how owners are using their SOLARDOME® Pod dome glasshouses. For more information, including a price list for this dome and its options and accessories, please contact us today. Need more space? Take a look at the SOLARDOME® Haven. It’s just 1m wider, and gives more than 65% extra floor area. 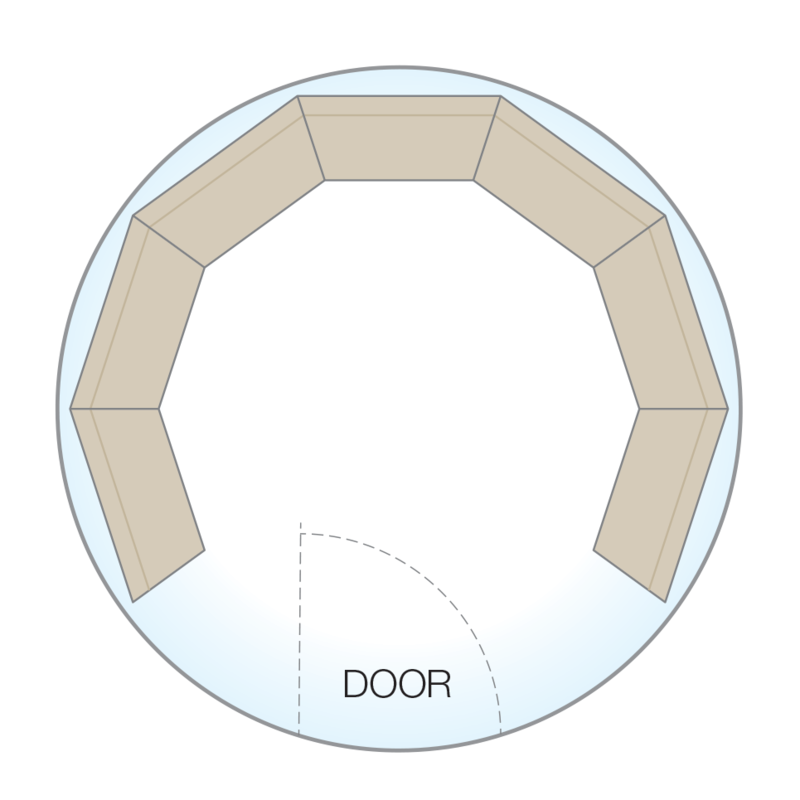 Click here for the SOLARDOME® Haven. * Price inclusive of VAT and based on a standard dome, supply only to UK mainland.